.. but if I was, there might be a few things I could have done.. 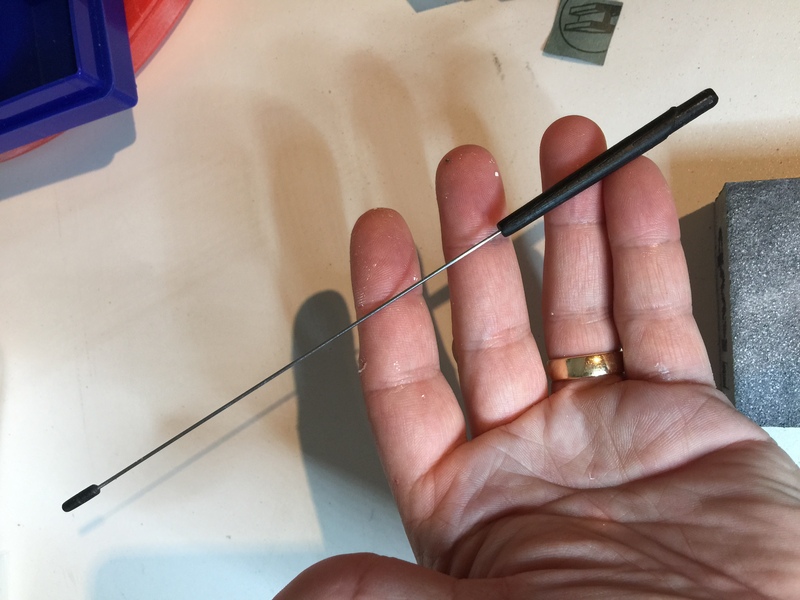 Some filler primer first…. 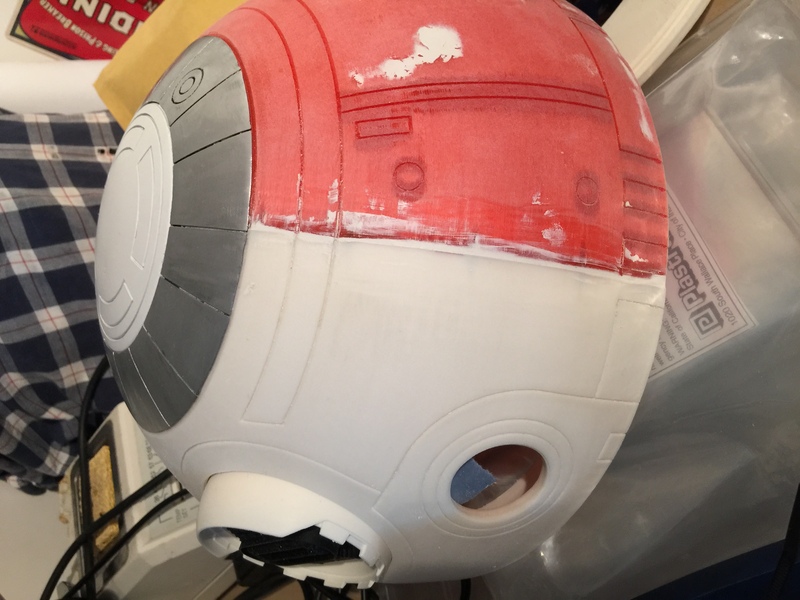 then sanding almost the entire layer of paint down to nothing, then on to the proper colour: The Satin White used on R2-D2. The pie panels need another round of rub and buff, I think..
Much better. 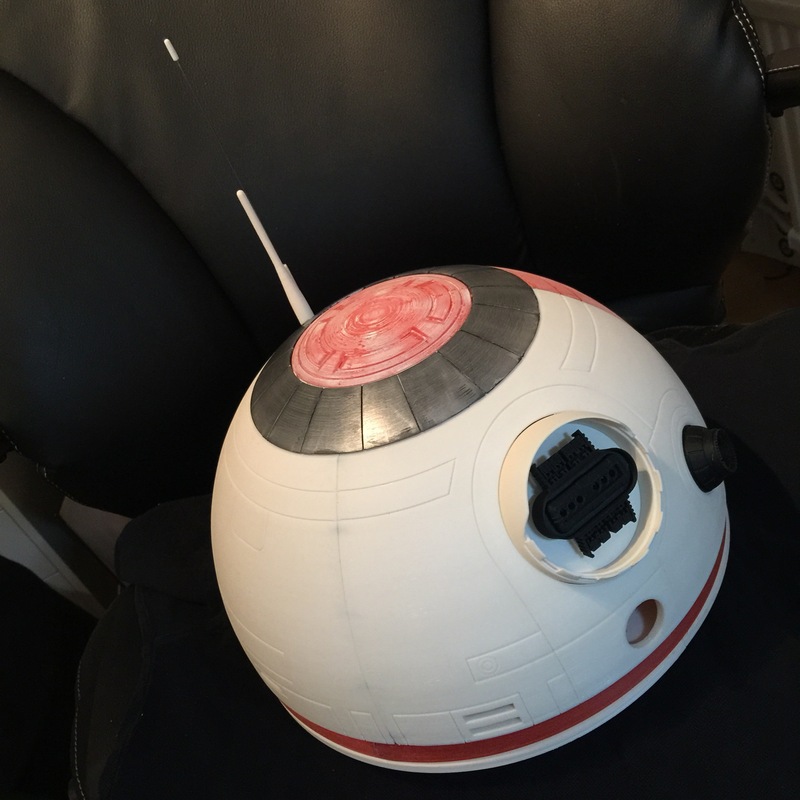 It is still a few things visible where I was rubbing too hard, but it will still be weathered in the end, so I’ll let it be for now. The top panel has also been fixed to the pie panel ring with my glue gun. Melt glue is perfect for this. It will hold forever. I remembered (too late) that the top panel still isn’t clear coated, but I can easily mask off the pie panels later on for a quick spray. 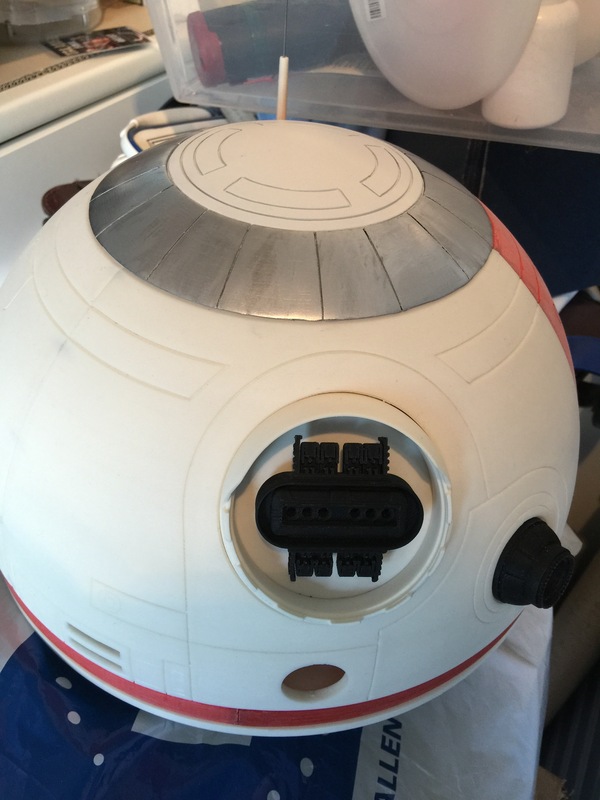 I have also drilled and glued magnets all around the pie panel ring and the top of the dome, to make the pie panel and top piece removeable. Works great! 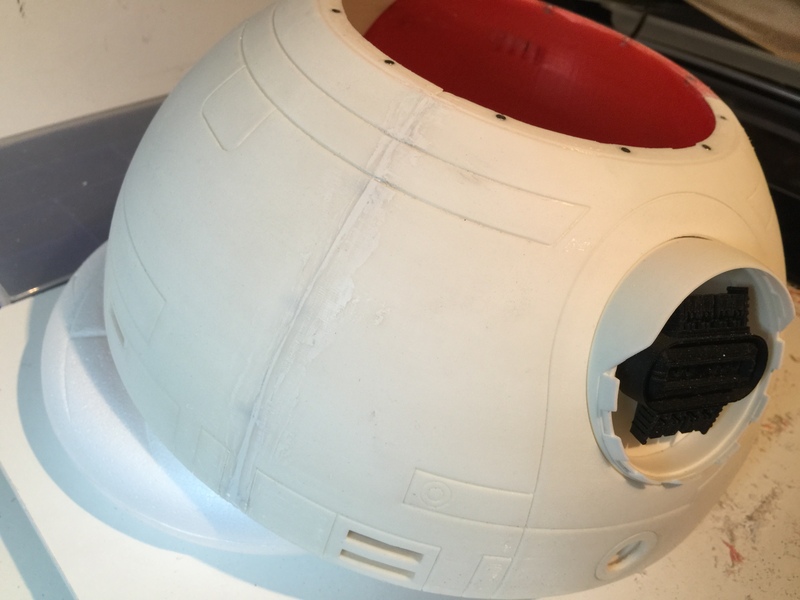 Well, The dome needs filler in the seams and sanding..
A couple of coats of Tamaiya Putty, scraping with my break blade knife and sanding… and I think the dome is now one more round of putty and sanding away from being pried (with filler primer of course).. This one will really look cool when it is all done.. 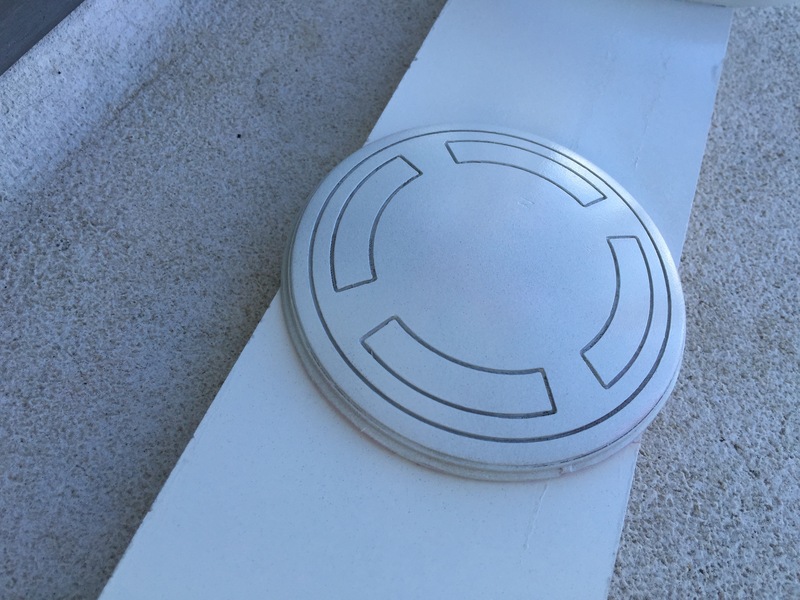 Finally, I’ve spend some time with the holo projector, sanding all the small grooves in the rim, and smoothing the sides out. 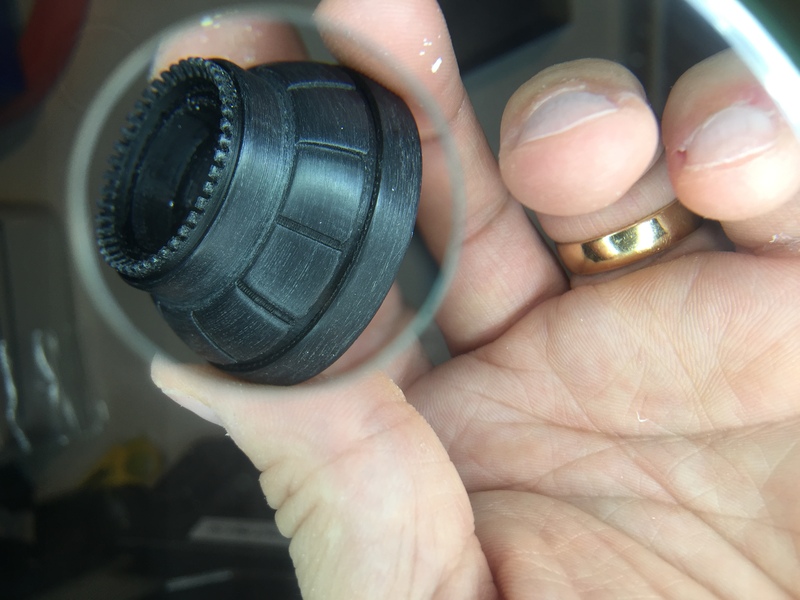 I printed this on 0.05 layer height to really make all the detail come out, and it really does. 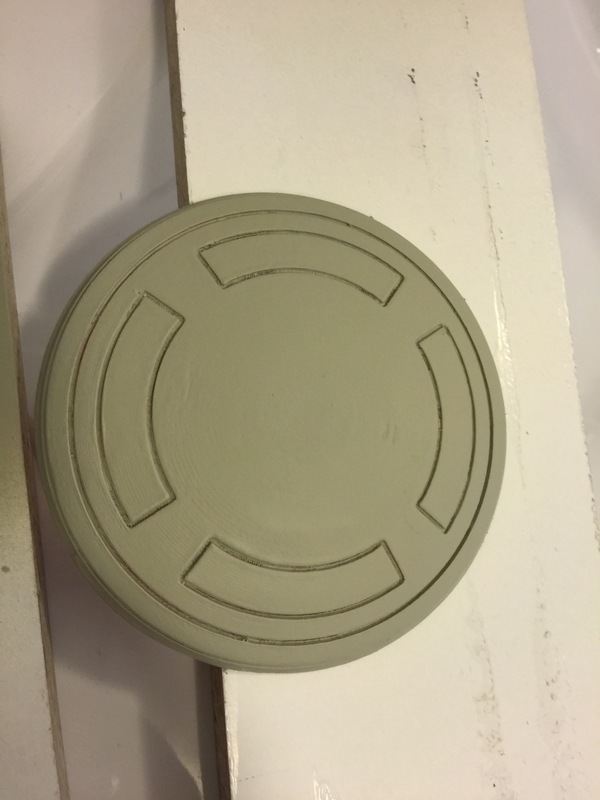 It has been sanded with 600 grit sand paper, and at the moment, I am unsure if I even have to paint it. Might still dab a few coats if black on it. It feels really smooth to the touch! Picture taken through my magnifying glass. 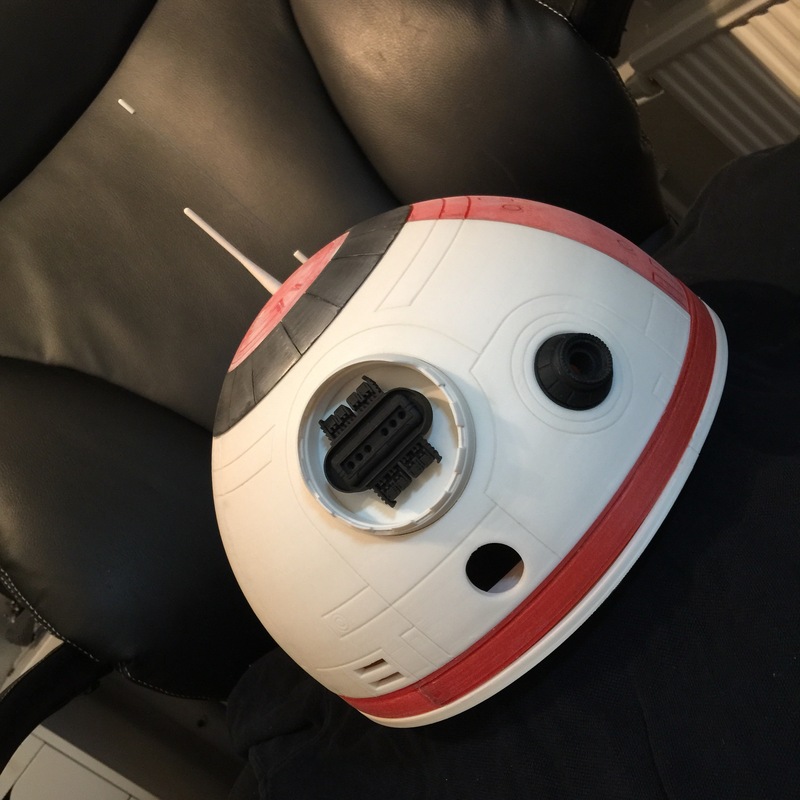 Next off, is painting the basic dome, but in order to do that, I need to find a decent box and get some time in the yard to do this. 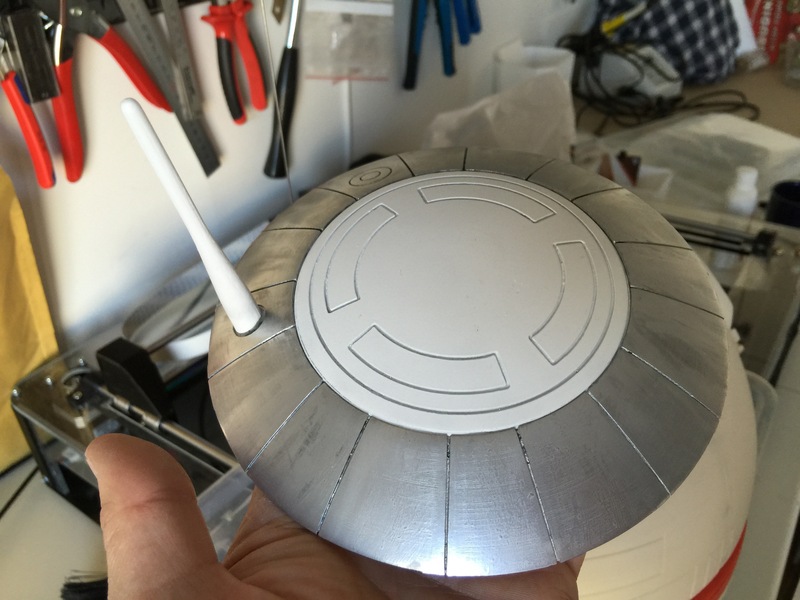 After that, the dome skirt needs a bit of TLS, as one part warped slightly and needs to be filled in before assembly. 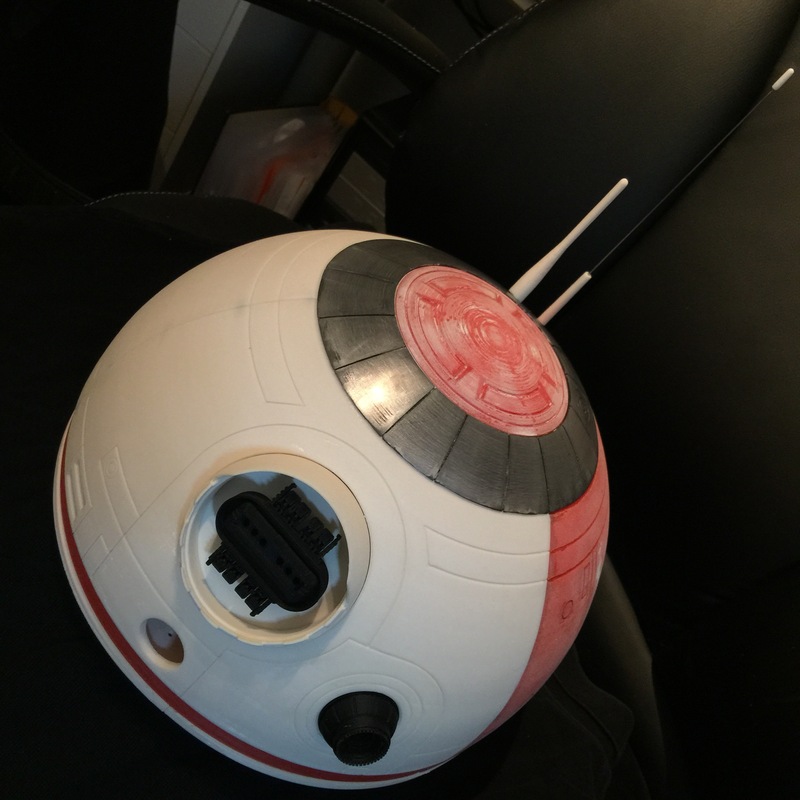 By micke|2016-12-06T00:00:08+00:00September 1st, 2015|BB-8, Building|Comments Off on Still #NOTBUILDINGBB8 ..